The thought of undergoing orthopedic surgery can be intimidating to patients. In many cases, if your surgeon has recommended that you pursue a course of surgical treatment, it’s because you’ve already exhausted their list of potential non-surgical remedies, to no avail. This can be a frustrating experience, and many patients become discouraged from pursuing any further treatment, instead resigning themselves to live with their symptoms. 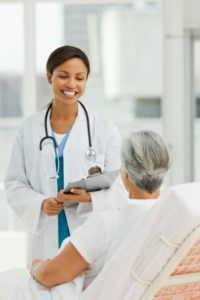 If you’ve been unable to find relief using various conservative methods, however, the specialists at Tahoe Fracture & Orthopedic Medical Clinic’s Reno, Nevada, facility can explain to you the potential benefits of orthopedic surgery and help you determine how to best move forward with treatment. When you schedule an appointment with us, one of our specialists will meet with you to discuss your symptoms and treatment history, conduct a physical examination, and perform any necessary diagnostic testing. Once we’ve diagnosed your condition, we’ll discuss your various treatment options — likely including both surgical and non-surgical methods — then work with you to determine the option that will best fit your lifestyle and long-term treatment goals. If you do require orthopedic surgery, you can rest assured that you’ll be receiving the best possible care from our team of specialists — our surgeons are highly knowledgeable and experienced, and each one is board-certified. If you believe that you might be a candidate for orthopedic surgery, please contact us to schedule an appointment at our Reno, NV, clinic, conveniently located on Wedge Parkway, near the University of Nevada’s Redfield Campus. Our goal is to help you restore your mobility, function, and quality of life.